Last July, researchers at the University of Lincoln (UoL) attended the IEEE (Institute of Electrical and Electronics Engineers), World Congress in Computational Intelligence (WCCI), held in Rio De Janeiro. 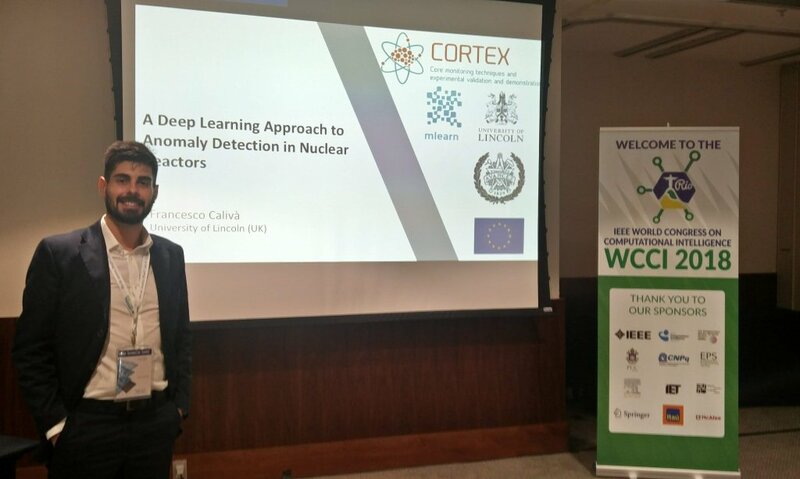 Under the International Joined Conference in Neural Network (IJCNN) track, Stefanos Kollias and Francesco Calivà presented one of their latest publication titled “A Deep Learning Approach to Anomaly Detection in Nuclear Reactors”. Top world-wide researchers in Computational Intelligence were gathered to discuss about the latest development in the field, covering topics such as biological neural networks, artificial neural computation, theoretical and real-word applied evolutionary computation. 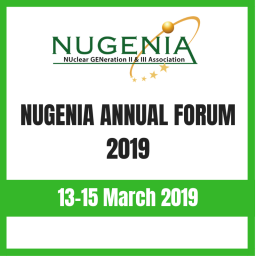 In their paper, the authors presented a deep learning framework able to unfold the induced neutron noise up to the reactor core spatial resolution. The noise represented the reactor response to an absorber of variable strength, in the frequency domain, and was simulated using CORE-SIM. Furthermore, the paper proposed a Deep Convolutional Denoising Auto-Encoder, which is capable of filtering disturbing noise out of the signal, as well as reconstructing missing part of the signals. 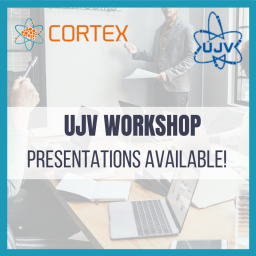 The CORTEX team is looking forward to investigating further simulated scenarios in the time and frequency domain, extending to real-life data coming from nuclear reactors within CORTEX H2020 project. 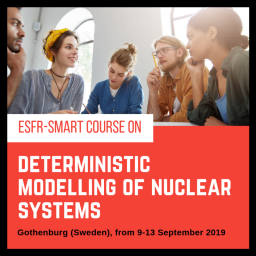 ESFR-SMART: Course on "Deterministic modelling of nuclear systems"
The CORTEX project received funding from the Euratom Research and Training Programme 2014-2018 under grant agreement No 754316.